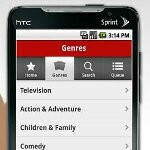 Great news for those HTC EVO 4G owners who experienced a hiccup with nagging Netflix issues on the handset because a new maintenance software update is now available for download addressing the problem. Although it didn’t affect all handset owners, some experienced being shut out from streaming movies and television shows with Netflix’s streaming service. Luckily, the fix is now here for the installation and seemingly corrects the problem – thus, getting them back to enjoying their favorite streaming Netflix content on their device. Not stopping there, the maintenance update also addresses problems relating to the handset’s voicemail notification system and hearing aid compatibility. Therefore, if you haven’t seen that notification hit your handset just yet, then you can always initiate it manually by doing so under the Android settings menu. Whats a "hearing air compatibility"? My evo doesnt have the real netflix app in my market does anyone else have this problem?? i jsut got my evo on friday from the nexus and didnt like the reception so i got the evo but my nexus had the app and this doesnt...? anyone know why or can tell me why?? or what i can do to fix it and get the app somehow? I haven't seen it on the market either, I think they hid it from EVO 4Gs or something since the last update and Netflix no longer worked if you did the early update, that's what I read somewhere. ok thank you so then doing the update would be a waste bc there is no netflix to use? and our phone cannot do it from the internet bc the evo is only a 1.0 ghs procesor(possibly spelt wrong) and online you need a 1.2 ghs procesor correct?? Well I'm not sure what you are trying to say about the processor. But you can try this, (I can't know since Netflix is already installed on my phone) 1. Open browser, then press the search button (magnifying glass) and search for "Netflix android market" 2. Once that comes up go all the way to the bottom of the page and click "Classic" view. Then click on the top result for android market page for Netflix. 3. Once there,find the blue install button and do what it asks. Let me know if it allows you to download it. Well I saw it last night with the update option. But now it's gone again since I did the 4.24.x update this morning. And guess, what, Netflix still doesn't work. Says I need to update the app and then it cant find it, endless loop. another thought... i keep checking for my update. i dont have an update i was working and my phone made a noise i havent heard before.. did it do the update automaticly or do i have to do it manually ? No it would not do it automatically, only notify you and request your confirmation. If it were to do it automatically that would be a good couple minutes to an hour that your phone would be unusable. ok.. so then i havent not received the update and i keep hitting scan for updates and i havent not been able to do the update.... has your evo been updated already? I haven't seen it either and I've scanned manually about a dozen times today, 3 times since seeing this article and still nothing. I didn't update to gingerbread til this morning because they said the fix would be out today, so I am updated to 4.22.x but my Netflix stopped working now. What we should be getting is 4.24.x, I just updated because I thought maybe I would have to update to gingerbread first and then get the fix. yea i updated on thursday when i received my exchanged evo from the nexus... and i have been doing the scan all day long atleast every 10 to 30 min... and my coworking in wisconsin hasnt received the update as well... but on his phone he has the real netflix app on his phone... but im not sure tho.. I have been manually attempting the update all day and continuously get a message that says "There are no updates available for your phone". A poster at the sprintusers forum stated that he called HTC and the rep there told him there is no update currently available and that HTC would be the ones to announce it if there were. So, who knows? Even though it is all over the net I have yet to see anyone post that they were able to successfully update. anyone get an update yet?? i received the update but its not working ,i called a couple of friends they are getting the same results......come on netflix you have to do better than that. I've gotten a Netflix update that doesn't work, but no maintenance update from HTC/Sprint. I've manually checked a number of times. i just manually checked for the update on my phone and it says that it is up to date and i havent gotten my update yet.... anyone no why? or how to get the update?? still havent gotten my update either, tried a prl update because that is what i had to do in order to get gingerbread to begin with still nothing. I just got my evo and i have a voicemail that wont go away anyone know about how to get rid of it?? I couldn't get the update to work either doing it manually. Kept getting the "no new updates" message as well. I turned off the "scheduled check" setting and manually checked again and it worked right away. Give that a shot. I just did a manual update and it worked Updating gingerbread software now!!! ok i think they should have said the 21st it would roll out because i just checked and got the update. it didnt do anything fantastic to my phone. I got the update this morning, Netflix still doesn't work for me. This gingerbread update has just taken away features for me, namely I can't see my call durations in call history anymore, the print screen app "ShootMe" no longer works and of course Netflix. That's what I know about so far at least. Sure it has its good perks too like managing my apps is faster, but it also installed more bloatware on my phone like TeleNav which wants me to pay $5 a month for what I already do with Maps. I think I'm just going to root my phone now, it was a fun year running it stock. I just got the update and there still isn't any Netflix. In the market. Anyone know how to get it?? ?